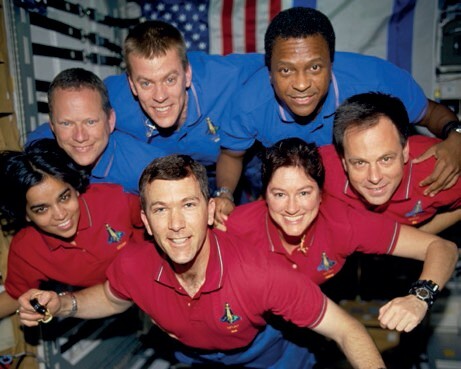 On February 1, 2003 the Space Shuttle Columbia was returning home along with its seven crew members. They had successfully completed a 15 day scientific mission packed with research activities. During reentry, just 16 minutes prior to their anticipated landing at Kennedy Space Center, Columbia tore apart, falling to pieces over Texas. All of the astronauts died before they hit the ground. Every year they are honored on the last Thursday in January, NASA’s Remembrance Day. 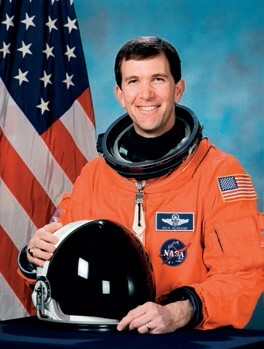 A mechanical engineer by education, Rick joined the Air Force and became a test pilot before being selected as an astronaut candidate in 1994. After completing his initial training, Rick served as Chief of Safety for the Astronaut Office. He first flew to space aboard Discovery STS-96 in May 1999 , the first Shuttle mission to dock with the International Space Station. 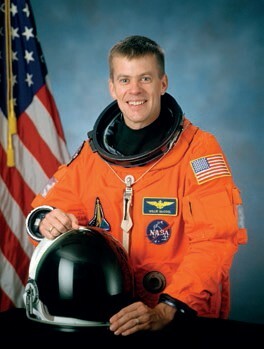 His second space mission was STS-107. For Rick, being an astronaut was a lifelong dream, and he loved every minute of it. 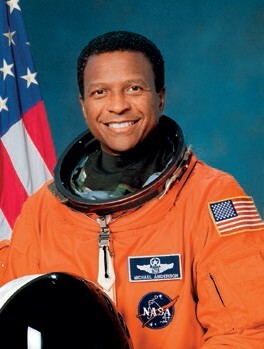 A Navy man before joining NASA, Willie attended the Naval Academy, accumulating degrees in applied science, computer science, and aeronautical engineering, even as he deployed as a Navy pilot, and later, test pilot. 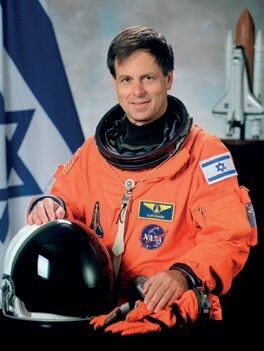 He was selected as an astronaut in 1996. Unlike many astronauts, Willie loved exercising in space. “I’ll tell you, there’s nothing better than listening to a good album and looking out the windows and watching the world go by while you pedal on the bike,” he said while aboard Columbia. 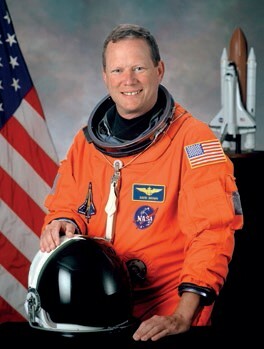 STS-107 was his only space mission. 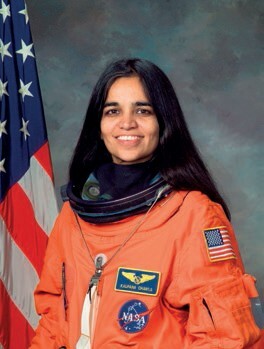 Born in Karnal, India, KC moved to the United States after undergraduate school, proceeding to obtain her doctorate in aeronautical engineering. She began her career at NASA Ames, researching computational fluid dynamics relating to aircraft air flows. She was selected as an astronaut candidate in 1995. 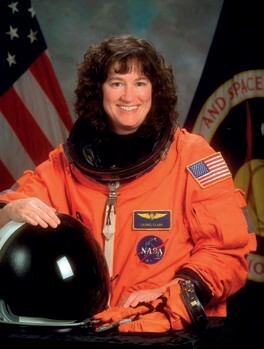 Her first flight took place in 1996 aboard Columbia STS-87 as mission specialist and prime robotic arm operator. KC loved flying and was a licensed pilot and flight instructor of commercial land and sea planes and gliders. She was an inspiration to young girls in her birth country, where her achievements were much celebrated as the first Indian-born woman to fly in space. David M. Brown, William C. McCool, and Michael P. Anderson. From bottom left: Kalpana Chawla, Rick D. Husband, Laurel B. Clark, and Ilan Ramon (Credits: NASA).